In an atmosphere of country town fair, this long-standing event will completely blow your mind away. An amazing day of fun for the whole family guaranteed! 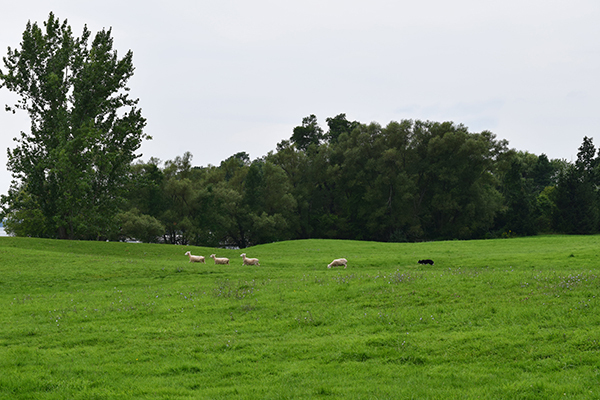 Every year in the month of August, the city of Kingston, Ontario, hosts sheep dog competitions that attract people from the world over. 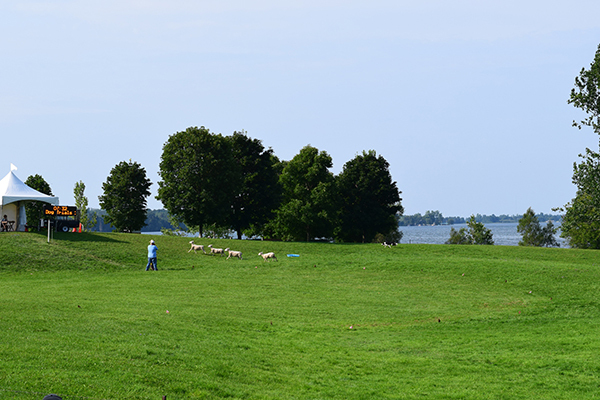 Grass creek Park, alongside the St. Lawrence River, is a spectacular setting for the fascinating art of sheep herding. The address is 2993 Highway 2, East Kingston, Ontario. There is ample parking space. You can also come by bus or shuttle. Consult www.kingstonsheepdogtrials.com for shuttle schedule. The entrance fee is $10 online or $15 at the gate. 12 years old and under are admitted free of charge. Bring snacks, water and sun protection. Once on site, you can refill your water bottles for free at refill stations and buy food from vendors. Dogs are welcome on a leash. Bring your camera to capture your family memories! 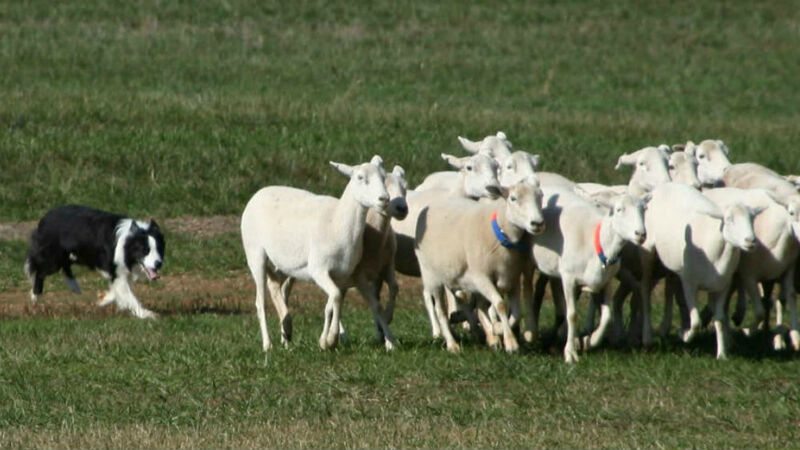 For little ones who need to move and can’t appreciate the art of herding sheep, there are many exciting activities. 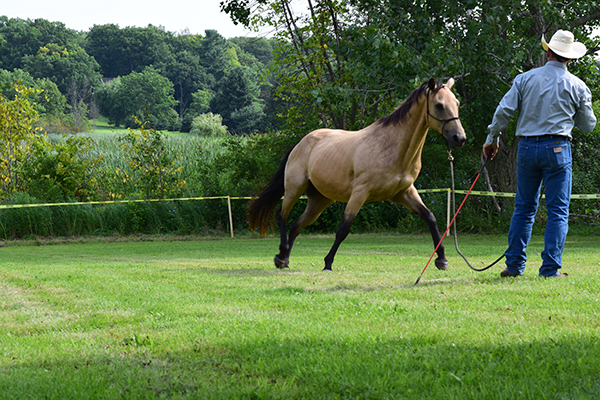 Watch horses play with their trainer and show the bond that can unite them. We were mesmerized by the gracefulness and playfulness of the horses. Hands-on wood carving like in the old days for the older ones and crafts for the little ones in your family. 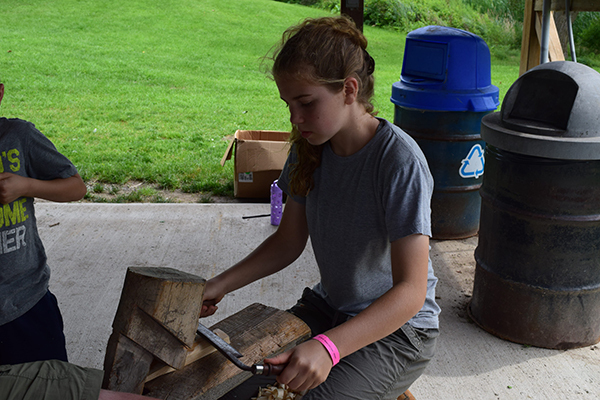 The staff from the MacLauchlan Woodworking Museum was excellent at providing information and guiding the children through activities at their level. Rescue dogs show off their skills and make you laugh. It touched our hearts to find out that some of them are deaf but with love and patience they manage to learn many tricks. All about dogs and sheep, you can buy pet supplies or try your hand at spinning wool into yarn. This was a real highlight for our children: to use an actual spinning wheel and a drop down spindle. The ladies were more than happy to explain all about the different types of wool, their use, care and handling. Turns out, spinning wool was very calming for the children! Do we need to mention that this is ultimate fun? Be a participant with your own dog or an assistant to test other dogs’ newly acquired skills. We don’t own a dog, but we have an animal lover among our children who was delighted to walk amongst the dogs and put them to the test. These were our personal favorites, but there are other shows as well. 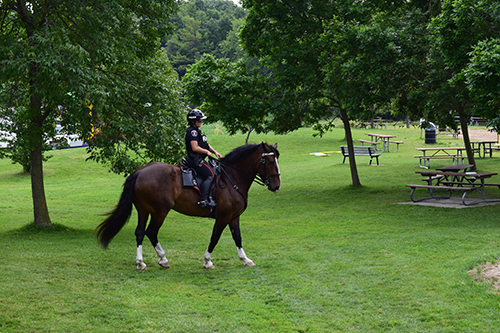 Also impressive was the K9 show by the Kingston Police and their officer on horseback. Summer time is for enjoying the outdoors, spending time having fun as a family and making unforgettable memories. You get to do it all at the Kingston sheep dog trials. 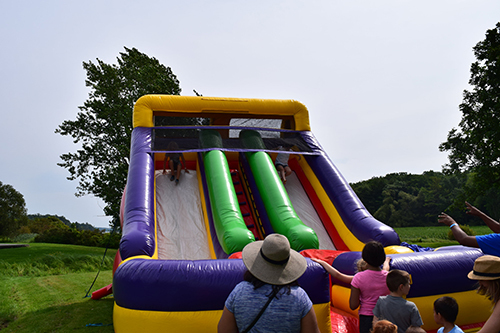 Stop by and spend a day at Grass Creek Park with your family, you are sure to make this a yearly happening!